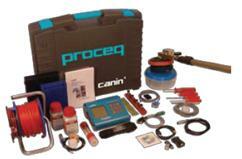 This month we have a several systems available for sale from our demonstrator range. Please use our request form to ask for a quotation, specifically list the equipment which you are interested in and that you are asking about the second hand systems. 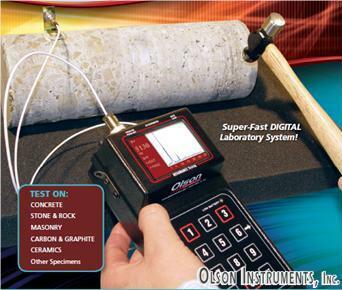 Olson instruments system to find; Young’s modulus, shear modulus and Poisson’s ratio of concrete, rock, masonry, carbon and other cylindrical (inc. cores), or beam specimens. Unit has only been shown a handful of times, near perfect condition. 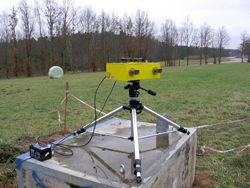 The IBIS-S uses microwave interferometry for static and dynamic monitoring of structural deflections. This system is 4 years old but maintained in near new condition and comes with a recently replaced Tripod. System will be supplied with a 6 month warranty. Silver Schmidt PC N systems available. Low impact hammer in clean condition. 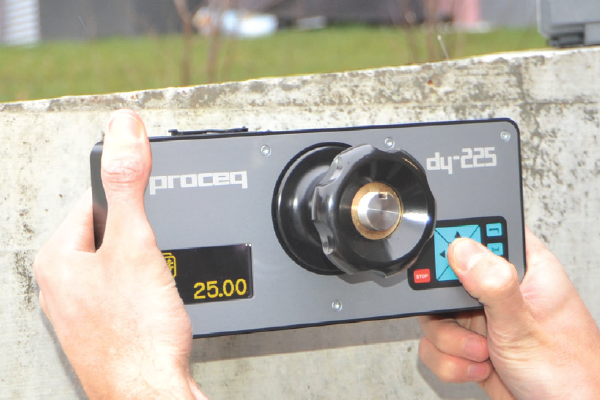 The PC N is the best for general and high strength concrete testing, it also offer full data logging functionality and custom curve uploading. 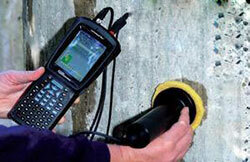 The hammer will be supplied with a new calibration certificate valid for one year and a 12 month warranty. A Canin+ half-cell potential system with wheel and rod electrode is available. System is 6 years old, well used but in working order and will be supplied with consumables, a calibration certificate valid for one year and a 12 month warranty. Pull off testing system, has seen very limited use, system and accesories clean and presentable. System is offered with 12 month waranty.